The Getty’s acquisition tells the story of how a once-scrappy alternative art space withstood decades of economic and cultural change and survived through the present. LOS ANGELES — Any art history book about Los Angeles artists since the 1970s would be remiss if it did not mention Los Angeles Contemporary Exhibitions (LACE), the nonprofit arts space that was once a center of the early downtown arts scene and now a mainstay of emerging local and international artists. 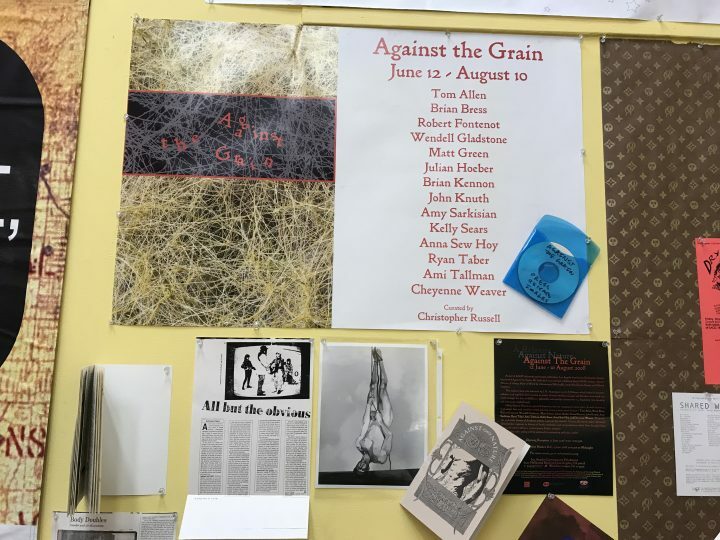 In 40 years, LACE grew from a small community access gallery to a significant institution involving thousands of artists, art workers, and activists. In March, the Getty Research Institute (GRI) announced that it was acquiring LACE’s archive, adding four decades of exhibition and program materials to its collection. The Getty’s acquisition, along with an exhibition at LACE, provides an opportunity to piece together the story of how a once-scrappy alternative art space withstood decades of economic and cultural change and survived through the present. 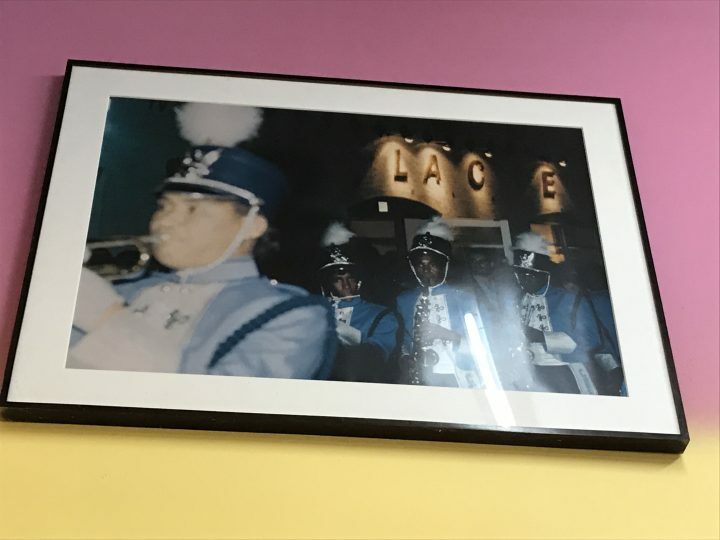 Founded in 1976 by a group of artists, LACE established itself on Broadway in Downtown LA’s bridal shop district before moving to Industrial Avenue in 1986. The 13 founding artists included sculptor Nancy Youdelman, alumna of Judy Chicago’s Feminist Art Program, and Harry Gamboa, Jr. and Gronk, members of the Chicano artist collective Asco. LACE moved to its current space on Hollywood Boulevard, just steps away from the Hollywood Walk of Fame, in 1994. 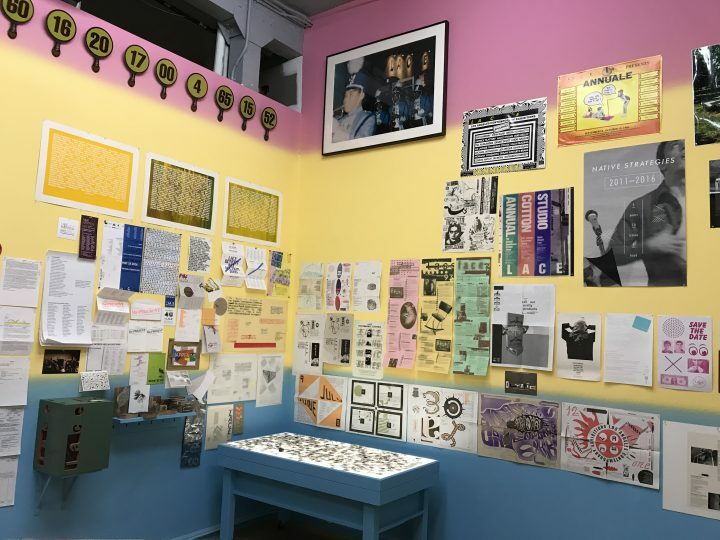 Throughout its history, the space fostered a diversity of art forms (especially video and performance) and artist backgrounds, representing substantial numbers of women, queer artists, and artists of color. 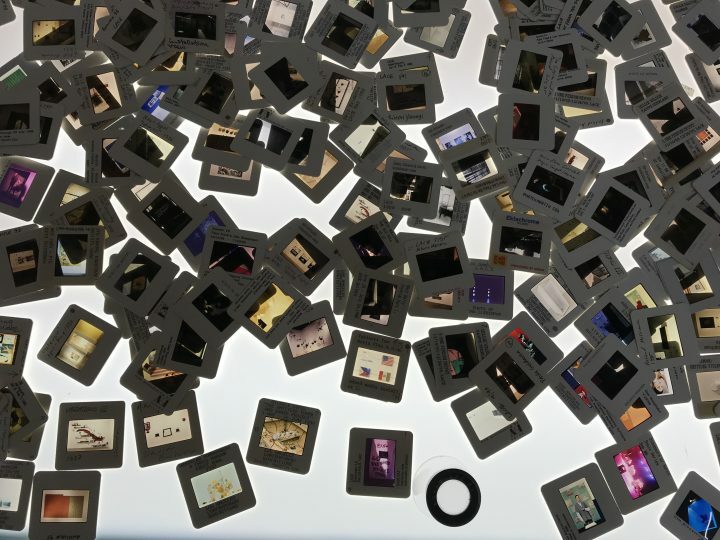 The roughly 450 linear feet of material acquired by the Getty, comprised of photographs, letters, collateral, video tape, and other records, is the result of decades of informal and formal efforts by LACE staff members, interns, and volunteers to preserve the space’s history. To put the size of the archive in perspective, the artist Allan Kaprow’s archive at the Getty — an example of a typically large archive — is about 300 linear feet. 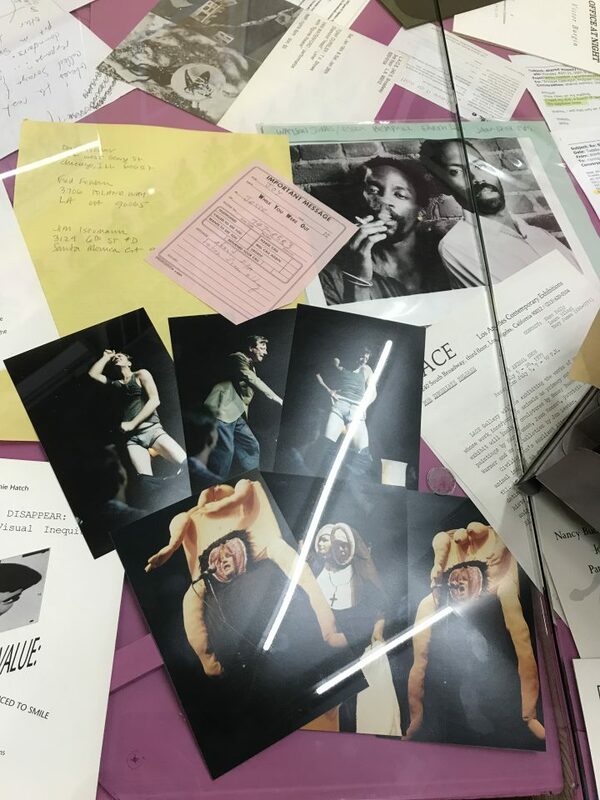 Matias Viegener, an artist and critic who has been part of LACE’s history for almost 30 years, got a chance to dig through the archive, which until recently was housed in LACE’s attic, and curate a small sampling of materials for his exhibition, The Archival Impulse: 40 Years at LACE. 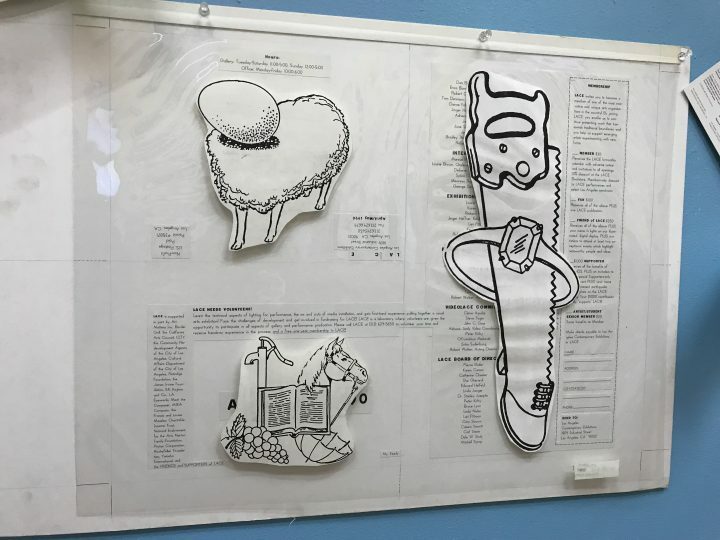 The exhibition, currently on display, gives a sense of the breadth and scope of the archive, with a number of surprising objects that tell the organization’s story. Flyers, pamphlets, invitations, and calendars make up a large part of the archive, and reflect the vision of the many artists and designers who were part of LACE, like a series of printed materials from the ’90s created by graphic designer Jeff Keedy. 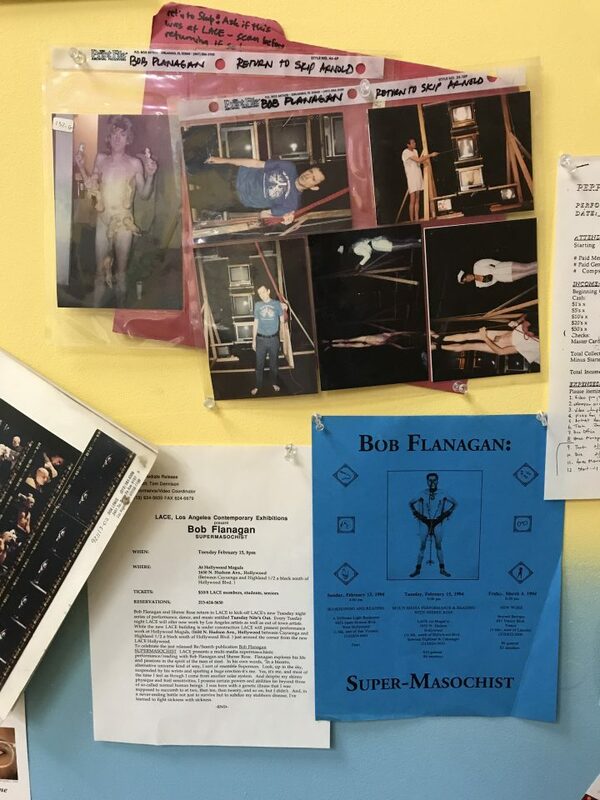 Old invoices, grant applications, and fundraising appeal letters also provide snapshots into the organization’s financial history and the relationships between people that helped sustain the organization over time. 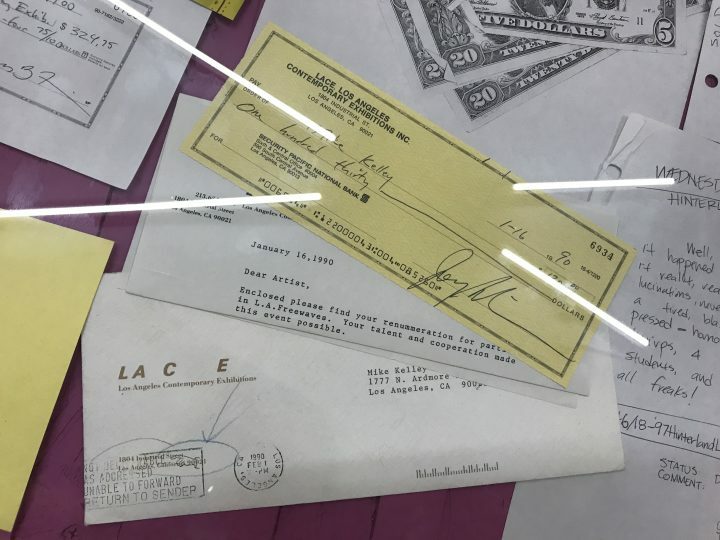 A $150 check — a small amount even in 1990 — made out to the artist Mike Kelley and later returned in the mail may amuse some visitors given his later status as a blue-chip artist. A walkthrough of The Archival Impulse reveals other major figures and historical moments that passed through LACE, like the TV Generations exhibition, curated by John Baldessari and Bruce Yonemoto in 1986, and Against Nature, a 1988 group show curated by Dennis Cooper and Richard Hawkins in response to the AIDS crisis. A brochure from a 1989 retrospective show for Ana Mendieta possibly marks the last time the late artist had a solo exhibition in Los Angeles. 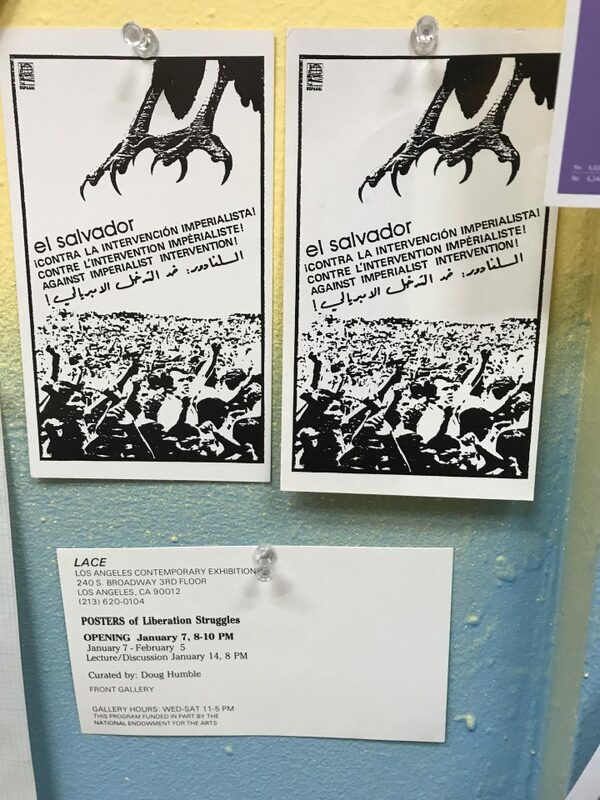 Another show from the ’80s, an exhibition of posters from liberation struggles around the world, further point to LACE’s engagement with local and global politics. While accounting for less than 1% of the complete LACE archive, The Archival Impulse reflects the diversity of forms and artists that the organization has championed for 40 years. The organization’s longevity and continuing support of emerging artists in the city may even serve as a helpful blueprint for other alternative spaces to follow. The Archival Impulse: 40 Years at LACE continues at LACE (6522 Hollywood Boulevard, Los Angeles) through December 31. Correction: A previous version of this article stated that a photo of a marching band had no clear provenance or purpose. The provenance has since been clarified and the observation removed.